As per the current census, the Indian population is more than 1.34 billion. Out of this, at least 20-25% of people work in MNCs that itself accounts to be a very big number. This 20-25% has struggled through the entire crowd and has managed to secure a position through sheer hard work and determination. They have their 12 years studying in school, then 3 to 4 years in universities and colleges securing graduation and then many have spent another 2-3 years for post graduation. After these 18 years of long era, they manage to get a four square meal for themselves and their family. Imagine one fine morning you reach your office and your HR manager hand over you your termination letter along with the statement that “you are fired.” This word fired will hit you even worse than a bullet from a gun. What will be your reaction? We will get scared even if we imagine this situation, but what about those who face this? We have a huge population and comparatively the companies are smaller in number, hence they cannot afford to accommodate all the employees. If we see from their point of view, they are absolutely correct. They need to run a huge company therefore they cannot think emotionally. They will have to be practical. But the point is that an employee depends on his company even for his onetime meal. He gives his day and night to the company and toils from 9 in the morning to 9 at night. If that same company ditches him, what will be his state of mind? Ø Suicidal Cases: Many of the weak people commit suicide because of sudden termination of their jobs. They are soaked in installments, debts, etc. which they fail to pay if they lose their job. They are not able to fill the stomach of their family members, hence this harms their self esteem and they feel better ending their life than to live a life of humiliation. Ø Unemployment increases: The sudden terminations increase the unemployment in the country which affects the country’s economy and the social status of the people of the Nation. This affects the position of the country worldwide. Ø Political instability: Unemployment gives birth to political instability in country. Unemployed persons can easily be enticed by antisocial elements like murderers, robbers, etc. They lose all faith in democratic values and peaceful means. They consider that Government is worthless which fails to provide them work. Ø Exploitation of Labour: In the state of unemployment, labourers are exploited to the maximum possible extent. Those labourers who get a small work have to work under adverse condition of low wages. Being poor, a person does not make any gainful use of existing resources. They are not allowed to speak a word and to fill their basic family responsibilities, they work under severe conditions. Recently, The Madras High Court has restrained India's leading information technology ("IT") company from terminating the employment of a software analyst. Though the facts are still awaited, such a development appears to be the first of its kind for the Indian IT industry, which is one of the largest employers of organized labour. If an employee feels that he has been fired illegally on the basis of discriminative grounds, he/she has the full right to raise his/her voice against the company. 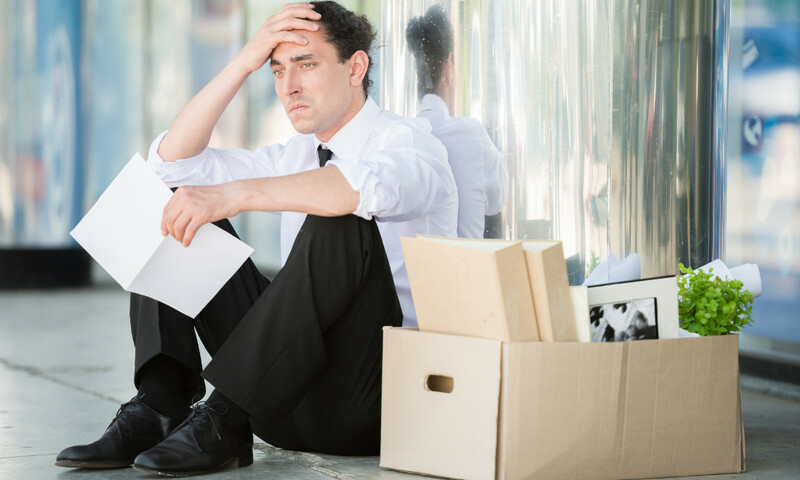 This is the duty of the company to give a severance pay to the employee who is fired. It is important for all the people to keep them indulged themselves in work for a sound health and good nature. It is the duty of the HR managers as well to appreciate the employees and provide them a friendly environment where they work stress free.